Cannabis is a plant known by many names including ganja (in Thailand), marijuana, pot, and weed among several others1. Once its most renowned and valuable export, Thailand’s cannabis was the country’s largest export to the US and Canada until the 1980’s2. The sativa plant, which grows naturally in Thailand, produces impressive yields and can grow up to 20 feet tall, much taller compared to other varieties such as indica which only grows to a maximum height of 4 feet. The variety grown in Thailand was considered among the highest quality in the world and was viewed favorably in comparison to those grown in Vietnam and Cambodia and was in high demand for importation to the US, with a US Drug Enforcement Agency representative describing Thai cannabis as “the Cuban cigar of the marijuana world”3. This changed when Thailand sided with the US in its global war on drugs, led by president Richard Nixon who listed marijuana as a Schedule 1 drug with no medical use and high potential for abuse4 in the 1970 Controlled Substances Act, resulting in the prohibition of the plant. Thailand followed suit causing a surge in drug-related incarcerations, with 70% of prisoners in the country being held for drug offences. This contributed towards Thailand having the eighth largest prison population in the world5. The Thai goverment did a U-turn on cannabis prohibition on 24 December 2018, when it agreed on the legislation at a final reading to legalize medical cannabis for economic reasons. The changes will become law when they are published in the Royal Gazette and will legalize the production, import, export, possession and use of cannabis and kratom products for medical purposes. This is a bold step because it makes Thailand the first country in Southeast Asia to legalize medical cannabis6. Made famous in popular culture by icons such as Bob Marley who once said “[the] herb is the healing of a nation,”7 the cannabis plant grows fast and is easy to cultivate. It is dioecious, meaning there are male and female plants, with the former being taller, thinner, and having flower-like pods which contain pollen-generating anthers; while the latter is darker and shorter, and has short hairs protruding at the end of the bracteole pods which can be fertilized. Only the female plant produces enough of the chemical tetrahydrocannabinol (“THC”) which can be used in drugs8. The plants cultivated for medicinal and hallucinogenic use contain around 5-10% THC9. Aside from THC, another commonly known cannabinoid is cannabidiol (CBD). CBD is renowned for holding medicinal properties without inducing the intoxication caused by THC. CBD’s medicinal properties have been demonstrated to reduce the effects of anxiety, inflammation, and analgesia. The growth and distribution of CBD resides in a gray area in the US market, due to the contentious nature of cannabis legislation. While itself not a controlled substance, CBD production is problematic given its close proximity to contraband10. Cannabis is arguably one of the most versatile plants in the world and has been used throughout history for a number of purposes other than recreational use. One of the most useful cannabis varieties for non-medicinal purposes is called hemp, which is the same plant used for recreational purposes but has been bred to contain less of the chemical agents associated with cannabis such as THC. If you crack open the stem of hemp, you will find natural fibers that can be used to make textiles, shoes, plastic (from oil extracts), paint (from oil extracts), ropes, paper, and sails. Remarkably, hemp has also been used to build houses since it can be turned into hempcrete, a toxin-free, fireproof material which provides insulation in houses which can also act as an insect repellant11. Moreover, hemp can be used to make biofuel, cosmetic products, water purifiers, and weed killers12. Some suggest that hemp should be used instead of trees as a way of producing paper to mitigate deforestation because it grows faster and produces more recyclable materials than those produced from trees13. In the US, hemp was deemed such a threat to the cotton industry that the Marijuana Tax Act of 1937 was imposed to control it14. In December 2017, the Thai government decided to lift the ban on growing hemp in Thailand in 15 districts of six designated provinces: Chiang Mai, Chiang Rai, Nan, Tak, Phetchabun, and Mae Hong Son. The change, however, only allows state agencies to grow cannabis under close supervision by the Office of the Narcotics Control Board for industrial and research purposes. Hemp produced in these districts can only contain 1% THC or less. Dating back to 4000 BC in a Chinese village called Pan-P’O, residents harvested hemp to make oil and fibers out of the materials15. In his book The Histories, Greek historian Herodotus states that between 2000 and 1400 BC, the Scythians were recreationally using the plant to get high by inhaling the smoke from smoldering cannabis seeds and flowers. They also used cannabis seeds in steam baths and burial rituals, evidenced by burnt cannabis seeds found in the graves of shamans. Throughout human history, civilizations have recognized the plant’s medicinal properties and used them to treat numerous diseases. The earliest recorded use of cannabis as a medicine was when Chinese Emperor Shen-Nung acknowledged its medicinal value in treating over 100 ailments including gout, rheumatism, and malaria. Fast forward to 1100 AD, Arab scholar al-Mayusi recorded that cannabis was an effective treatment for epilepsy16. Cannabis was made taxable in the 20th century in the United States under the Marijuana Tax Act of 1937 as a result of political and racial factors. By introducing this law in the US, customs officials were given reign to search Mexican immigrants at the border, allowing the government to track them more easily and control their populations. Later, cannabis became illegal as part of the war on drugs under President Nixon. Advocates for the legalization of cannabis have argued successfully in some countries that cannabis can act as a vital ingredient for treating various ailments. One entrepreneur and advocate for cannabis legalization is Hugh Hempel who has two daughters suffering from a form of childhood Alzheimer’s. After successfully treating their seizures by giving them cyclodextrin, Mr. Hempel went on to start a Nevada-based “cannabusiness” focused on legally developing and distributing high-quality flowers, extracts, and concentrates at competitive prices17. There is also mounting evidence that cannabis can be used to treat seizures caused by epilepsy and Parkinson’s disease. Despite these noted benefits, further research is needed to determine exactly how cannabinoids work and the full extent of their medicinal value. There is also evidence that suggests around 10-30% of regular recreational users will develop dependency. However, there are few withdrawal symptoms and it is less addictive than tobacco and alcohol, so it is easy to quit19. The half-life of a drug refers to the time a certain amount in the bloodstream or urine decreases by half. While the effects of cannabis typically last 2-3 hours, the half-life of cannabis in blood plasma and urine is estimated to be around 3-4 days after ingestion20. A map indicating the status of cannabis in different countries and territories. Around 147 million people or 2.7% of the world population consume cannabis annually, making it the most widely-consumed drug in the world. 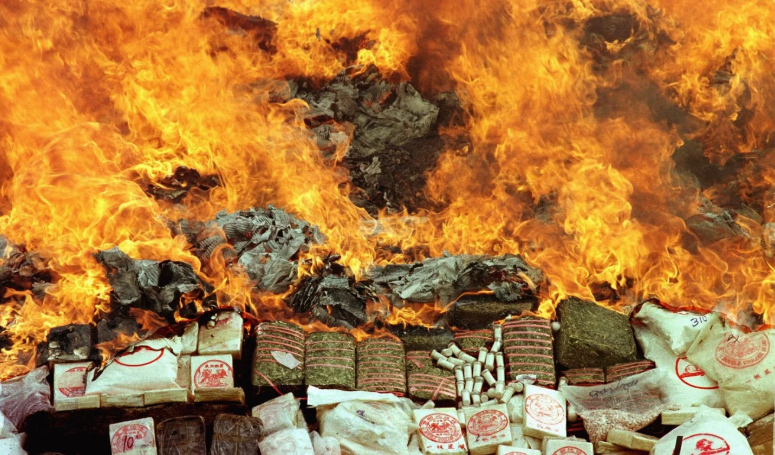 Half of all drug arrests worldwide are related to cannabis21. The first attested cannabis ban was brought about by Soudoun Shiekouni, the Emir of the Joneima in Arabia in 137822, in an attempt to eradicate disruptive tribes that smoked marijuana. The farmers of the plant were hunted down, tortured, and murdered with cannabis users having their teeth pulled out by soldiers using tongs during public punishments. Most countries in the world started to ban cannabis sometime during the 19th and 20th centuries23. A major year amid the wave of laws banning the use of the herb worldwide was 1961 when cannabis was classified as a Schedule 1 drug under the United Nations Single Convention on Narcotic Drugs, where the inter-governmental organization denoted it as one of the most addictive substances alongside opium, cocaine and heroin24. A noteworthy development involving cannabis prior to the blanket ban was when Henry Ford was working on producing a car made of plastic from the oil of the hemp plant, which likewise ran on biofuel produced by hemp. Thailand passed laws to legalize medicinal cannabis on 24 December 2018, with the Kingdom having already legalized clinical trials of cannabis on humans earlier in 2018 26. Cannabis was listed as a Class-5 narcotic under the 1979 Narcotics Drugs Act, which means possessing and/or cultivating the plant was be punishable by a maximum of 15 years in prison. On November 9th 2018, the national legislative assembly filed a proposal to reclassify marijuana as a legal drug and to allow licensed farming, sale, and possession in the country25. With the increasing number of jurisdictions pursuing legalization worldwide, the commercial value of cannabis is set to soar. 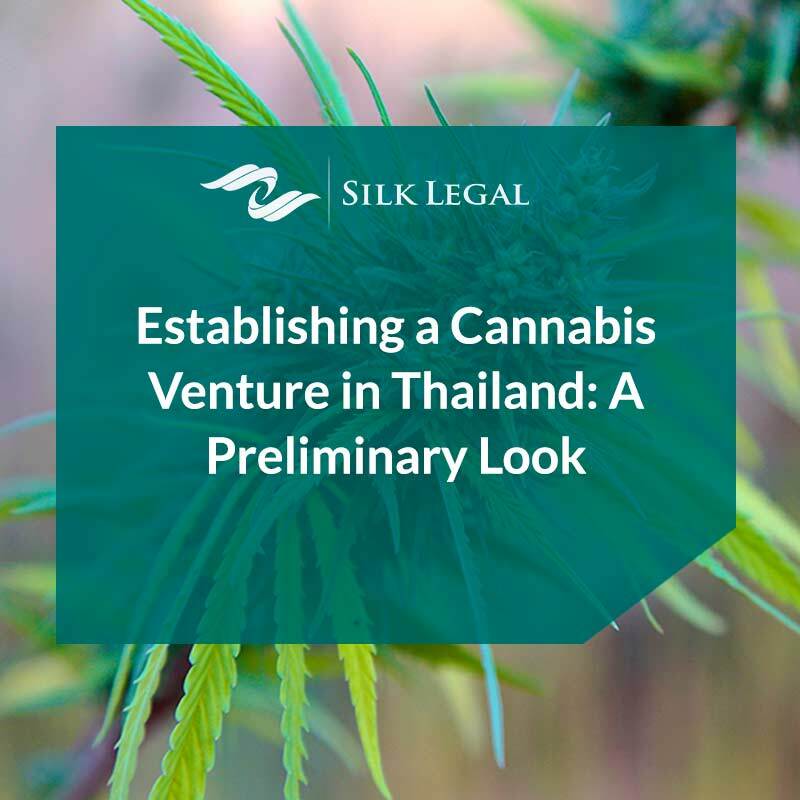 The Thai government has also been impressed by advocates’ arguments about how cannabis could make a large amount of money for Thailand if they were to legalize it27. Advocates such as Dr. Somyot Kittimunkong, have also pointed to the potential of medical cannabis oil to cure cancer. However, these claims currently lack empirical evidence to be substantiated because the current ban have hindered clinical trials28. Is there a Billion-Dollar Cannabis Business Opportunity in Thailand? Projections for the global medicinal cannabis market are very bright. It is estimated that the global legal medical cannabis market could be worth more than $50bn29. The cannabis industry in Thailand alone is projected to make the country US$4 billion within ten years30. 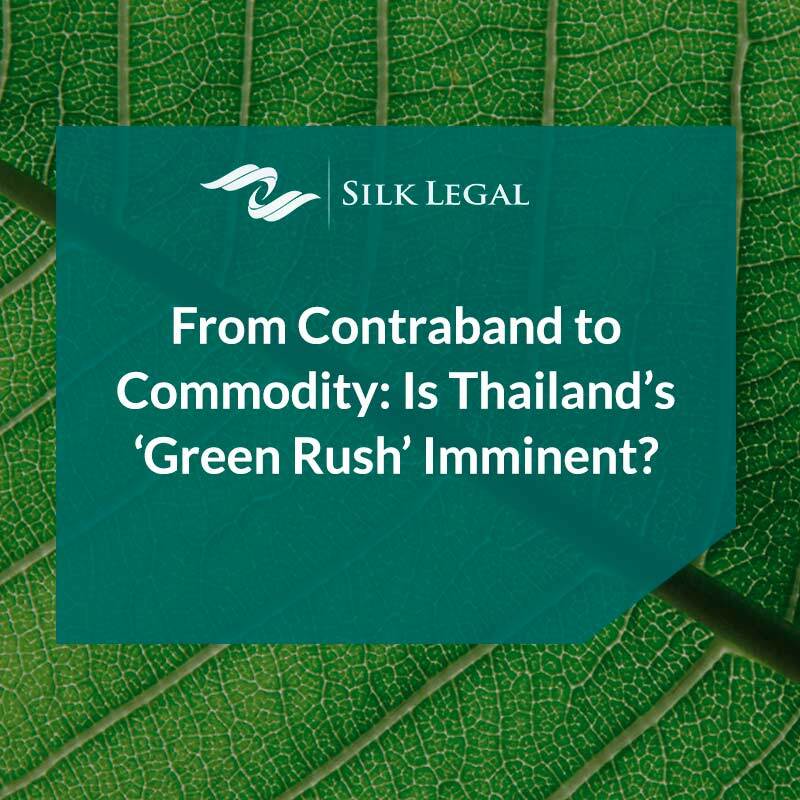 It is also likely that the legalization of medicinal cannabis will set the Thai government on a trend towards decriminalizing recreational cannabis. The commercial prospects in recreational cannabis are also promising, evidenced by large investments in this space. 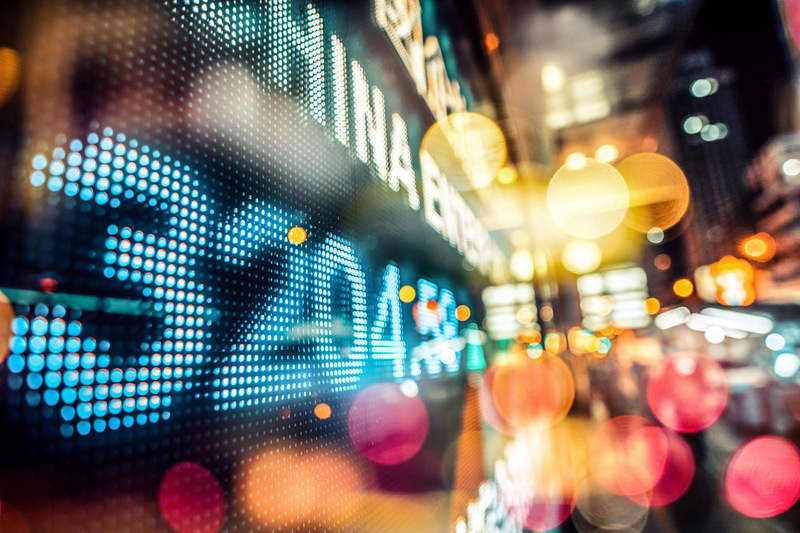 Altria, parent company of tobacco giant Philip Morris, decided to invest $1.8 billion in cannabis company Cronos this year31. Legislation passed a final reading in the Thai Parliment to legalize medicinal cannabis on 24 December 2018. The new legislation will become the law when published in the Royal Gazette. The Kingdom has already legalized clinical trials of cannabis on humans earlier in 2018. We will publish an update on site when the new law becomes effective. Cannabis is listed as a Class-5 narcotic under the 1979 Narcotics Drugs Act, which means possessing and/or cultivating the plant is punishable by a maximum of 15 years in prison, however the new laws will exclude medicinal cannabis from these penalties to allow licensed farming, sale, and possession in the country. Cannabis (containing high quantities of THC for medicinal use) grown in Thailand is recognized as some of the highest quality crop in the world and is project to make Thailand US$4 billion within 10 years. All cited sources accessed in December 2018.